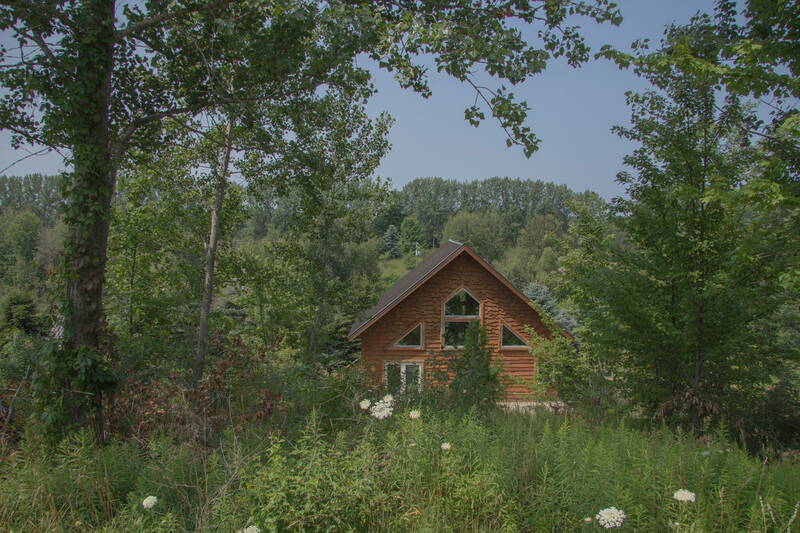 This second- story, custom built cabin in the middle of a cherry orchard has huge windows that allow for great natural light. Polished concrete countertops and floors with radiant heat. Sleeps 6 comfortably. One bathroom. Shared outdoor 6 person hot tub. Large decks. Small fridge and smart oven.